I had the honor of playing my flute for Holy Thursday Mass, along with my flute partner, 2 violins, and a cello. The music that our director prepared was beautiful and added so much to the Mass. In addition to that, I was so humbled to be asked to be one of the 12 parishioners to sit on the altar and have the priest wash our feet. It was more humbling and emotional than I could have imagined. I had been asked before and said no. Last year as I sat in the pew watching I knew I would say yes if asked again. As The Transfer of the Blessed Sacrament made its way to the Adoration Chapel, I noticed people began to drop out. This struck me as I thought of Jesus making his way to Golgotha. The apostles dropped out as did other followers of Jesus until there was only the Blessed Virgin, Mary of Clopas, Mary of Magdala, and John (John 19:25). Everyone else dropped by the wayside. How many times have I "dropped out" during my lifetime? 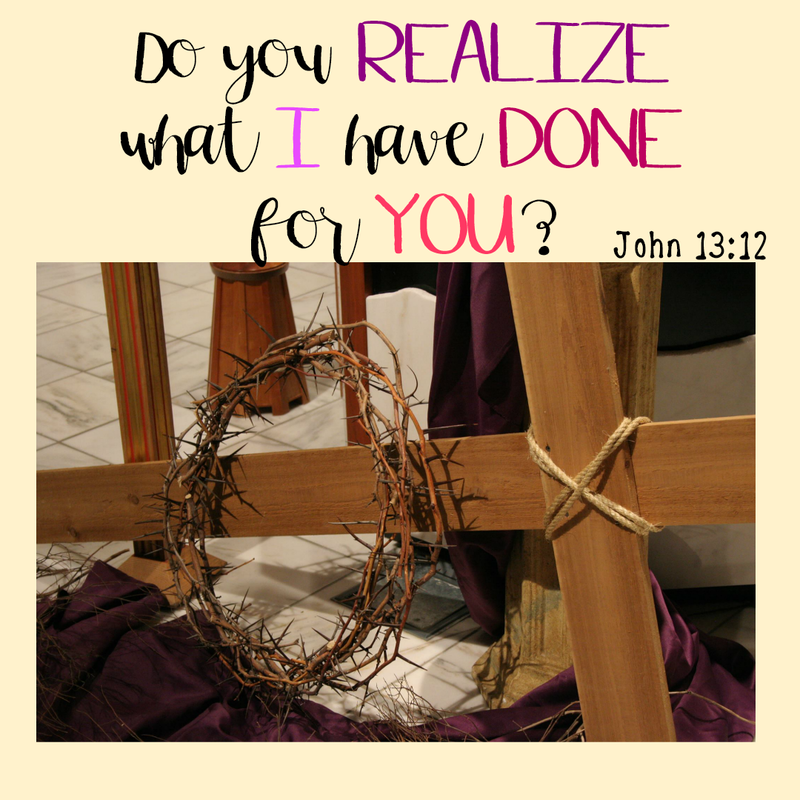 Do we realize just what He did for us? The ultimate sacrifice He made so we might live? Wow. I can't even begin to grasp this. What better way to spend a birthday but to play at Mass & have the humbling experience to have your feet washed? I took the day off of work because I had a doctor's appointment. In the morning, I heard cardinals...a lot of cardinals. There's a saying that when you see a cardinal it's a sign that someone in heaven is praying for you. Seeing and hearing cardinals have been a great comfort to me since my mom's and then my dad's passings. I had to smile and say a quick prayer when I heard a cardinal singing. While sitting on the porch with my dad one day a few years ago, we heard a bird & he pointed out that it was a cardinal singing "pretty, pretty, pretty". Who knew that passing of information would bring me such comfort in the future! Since my mother's passing a few years ago, Holy Thursday has been exceptionally emotional for me, especially during the Transfer of the Blessed Sacrament. She was the organist for about 40 years, so when I hear Pange Lingua Gloriosi I hear her singing and I tear up. It's such a beautiful hymn and I am filled with such gratitude for having her as my mother and for passing on the Catholic Faith. Some Triduums affect me more emotionally than others. I did not expect to feel this way at this minute, on this Good Friday, because I don't think I'm as prepared for Easter as other years. Maybe that's why it's hitting me so hard all at once. I'll go through my day doing what I have to do. I'll start preparing for Easter Dinner and will go to the Living Stations of the Cross as well as the Celebration of the Passion of the Lord tonight. I will do my best to realize and try to grasp just what He has done for me. "the hatred that He must have felt"